This is a creature you don't want to meet when going for a swim, but even the most dangerous animals need help sometimes. These large reptiles spend a lot of their time in the water where they stalk animals trying to go for a drink. They are known for their sneak attacks, when a crocodile gets a hold of some poor animal's limb, there is usually no way back. 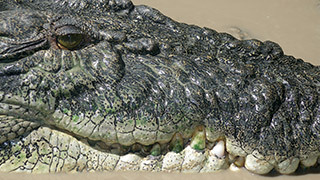 Some crocodile species can live for over 100 years.